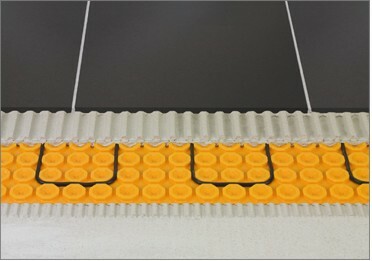 At Global Tiles we use both Warm Up and Schlüter underfloor heating systems. 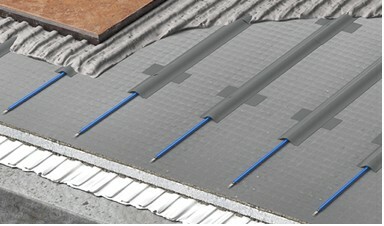 The Warm Up system used a loose wire system for its installation, whereas the Schlüter system uses an uncoupling matt that the wire clips into. If you are unsure what system would be beneficial to you, call into our showroom and we can advise you further. The Schlüter – Ditra Heat system is the market leading system for providing heating on walls and floor, under both tile and stone. The Ditra Heat system provides uncoupling, crack-bridging and waterproofing properties along with load distribution and vapour management. This together guarantees a lasting installation. With its low operating temperature, warmth is evenly spread across the whole floor area with no clod spots. The floor is heated from underneath and so not creating a stuffy atmosphere.